Back in August 2008, BlackBerry was still the King of the smartphone world and parent company Research In Motion was worth $70 billion. But things were beginning to change. 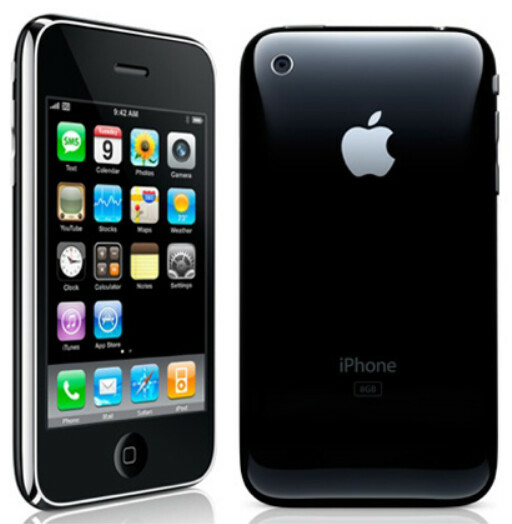 Apple had just released the Apple iPhone 3G weeks before, adding many of the features that iPhone users were missing from the OG handset including faster 3G connectivity. It also added the App Store. Meanwhile, in Waterloo, BlackBerry executives were about to release the most ambitious BlackBerry to date. Still not yet ready to tackle the iPhone's touchscreen (that would come with the launch of BlackBerry's next phone, the ill-fated BlackBerry Storm 9530), RIM released a handset that was the most consumer friendly 'Berry to date, the BlackBerry Bold 9000. Not surprisingly, the Bold 9000 centered around a feature that had become a BlackBerry trademark, the physical QWERTY keyboard. But the QWERTY on the Bold 9000 was much improved. It employed metal frets and distinctive keys that made it a pleasure to type on. Many still call it the best physical QWERTY ever attached to a phone. The 2.6-inch screen had a 320 x 480 resolution and a 222ppi pixel density. The 624MHz CPU was the most powerful ever to power a BlackBerry at the time. 128 MB RAM was inside along with 1GB of native storage. A 2 MP camera adorned the back of the unit, while a 1500mAh battery kept the lights on. The phone featured BlackBerry's best browser, but with all of the thumb action required to navigate web pages with the trackball, this was no Safari. Still, with a tip of the hat to Apple, BlackBerry added many new consumer related features to its OS, especially related to media. 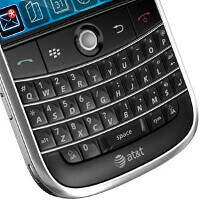 The Bold 9000 still brings up warm memories all because of that QWERTY keyboard. Interestingly, a lot of consumers at the time were saying that RIM could have really had something had they made the display on the Bold 9000 a touchscreen. But RIM's top executives never thought that typing on glass would catch on. It took the company three years to get it right with the release of the BlackBerry Bold 9930. With a strong QWERTY keyboard (perhaps just shy of the one on the Bold 9000), the addition of a touchscreen and a good browser (that even included pinch to zoom capabilities), the Bold 9930 would have wowed them in 2008. By 2011, when the phone was released, it was too late. The BlackBerry Bold 9000 was a big, heavy phone that was still a hit with the BlackBerry faithful. And while it wasn't apparent at the time, the wheels were falling off of the RIM express. That became apparent with the launch of RIM's next phone, the BlackBerry Storm. Launched half baked, RIM's first touchscreen phone was a dud from the day it launched. But that is another story for another day. In the meantime, take that trip down memory lane. Check out our review of the BlackBerry Bold 9000 by clicking right here! People who love tech and tech history. Definitely true tech lovers, as NokiaFTW said. you cared enough to comment so I guess you. it got 9/10... lol and look at that review's comment section, its so empty, and those (ancient) commenter only have 5-8 posts.. The comments section was actually civilised back then..
Why do we have to remember such a phone anyway? Cause it was simple and secure back then. Cause its the only phone Obama can use. Because knowing history is good thing. I still has one. Why we remember about you say? Stop being stupid that's why. It's very rare for a gadget to be considered classic. 15mm thick and 1500mAh battery.. Fantastic..
My God my 9000 was a effin Tank! Still have this in a drawer. The battery swollen so through that away. Then replace it when iPhone 3GS came out. I was so happy with my bold 9000 at that time, great performance and speakers, best keyboard and classic design. The only problem is the iPhone isn't what ruined Blackberry. Even after the iPhone was released, Blackberries still sold like hotcakes in the Enterprise that had standardized on them. It is Android that took chunks out of RIM, Nokia and everyone else. When Apple finally had enough markets hare to pass RIM, Android was already in the top markets hare position. And Apple moved from being in 3rd to being in second. It was at this point that millions of Android were being activated per day. No, Blackberry failed to adjust to market trends and thought they could ride the popularity of their original design. Which, as they now know, they couldn't. I saw a company in the old RIM that were truly convinced the Enterprise market would be theirs forever. They completely punted on the consumer market. Sad part is with some foresight and a little planning, they could have been right. The Bold line was an incredible set of workhorses. I still see Bold's being used today. Great phone for its time. There still has never been a line of devices that quite had the checklist of the Bold line or the Curve line. The phone call quality, the solid hardware, battery life, email control, security, looks.... Just a great stretch of time to be a BB owner. Still one of the best phones I've ever used. Had the 9530 when it came out, HATEd it, and switch to Apple, the Iphone 3 was but I liked the Nokia. When the Iphone 4 came out I got it, and the 9900. Back in the day Blackberry knew the base, today they are lost in THanks for careless, OLD, out of date and backward thinking exec, trying to make lemon juice out of Blackberry's (it doesn't happen. Funny thing is I activated my BB9000 a couple of months ago. I forgot how much I loved this phone..AND..how much of a workhorse (if you don't need "new" glitz) it is...GREAT instrument. Excellent security. Works like a champ!